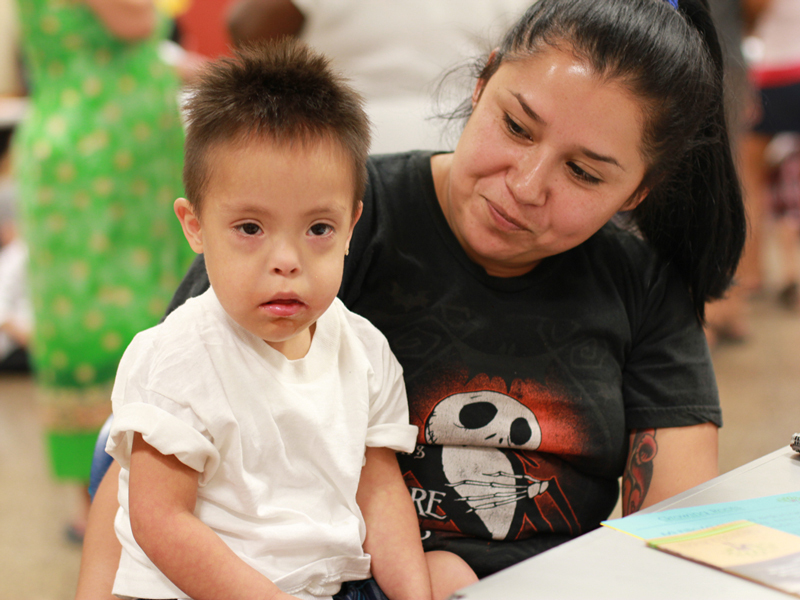 VELA empowers families of children with special needs through hands-on knowledge, support and community building. To create a community where all families of children with special needs thrive. We have big plans to reach our vision, check out our Strategic Plan. Values: Parents as Experts. Honoring Journeys. Creating What's Possible. Celebrating Differences. History: When told that your child has a special need, your life is forever changed. VELA was founded in 2010 with a mission to empower underserved Spanish and English-speaking parents of children with special needs. We knew we wanted to create an organization that focused on the parent of the child with special needs. By doing so, we knew we were investing in helping parents become their child's greatest experts. VELA undertook a yearlong needs assessment before launching programming. This was essential to prevent duplication of services and create content that was truly needed. VELA's curriculum was developed in 2012 as a result of interviews with 40 parents of children with special needs. Families from varied income, diagnosis, cultures and languages were interviewed to create unique curricula and teaching strategies. They reported needing four elements: Real Information, Resources, Support and Empowerment. Feedback was also gathered from local healthcare professionals, social workers, pediatric therapists and special education teachers. Methodology was designed based on family-centered practice research by the Academy of Pediatrics (Kuhlthau et al 2011) and Clinical Child and Psychology Review (Karnst & Van Hecke 2012) among others. Curricula incorporated teaching strategies that were parent-approved and accounted for the varied literacy levels and cultural backgrounds of participants. These included hands-on activities such as the use of visuals, role-playing and “one-page” handouts to simplify acronyms and terminology. Additional program components such as peer to peer teaching were modeled after case studies, by Mueller et al 1999 Research & Practice for Persons with Severe Disabilities. Furthermore, the need to discuss and target the parent’s emotional well-being resulted from research on parental stress seen in both the Journal of Pediatrics (Dykens et al 2014) and Journal of Gerontology (Song et al 2015). 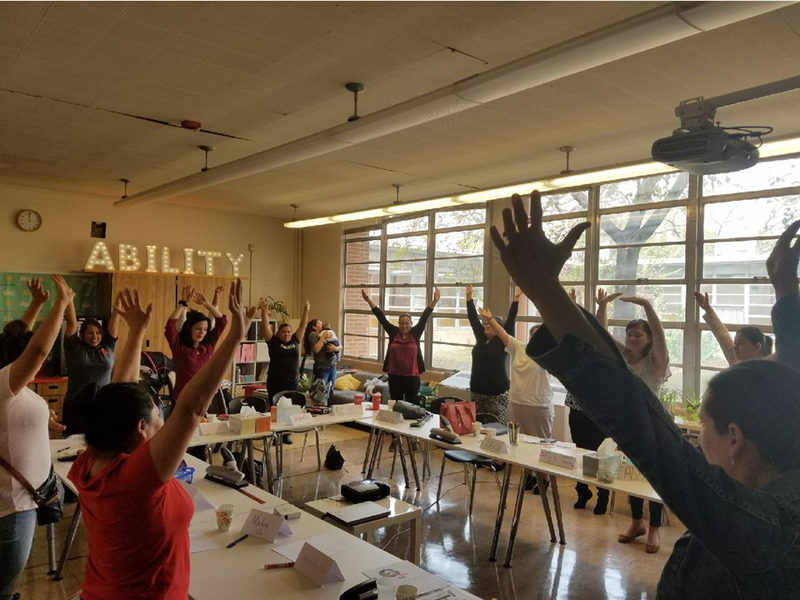 Combining both parent and service provider feedback, VELA developed a psychoeducational model that provides parents of children with special needs with both hands-on courses and wraparound services to navigate the unexpected. Each year we revise our curriculum and methodology based on community needs and best practices in research. Overview of Agency Services: VELA’s Family Empowerment and Training Program includes Special Education in the Schools, Autism, and Taking Care of You Workshops providing essential support to Spanish and English-speaking families. Our hands-on courses are designed to teach parents how to support their child’s strengths and needs, connect to community resources and navigate systems. Through peer-to-peer learning and culturally responsive curriculum, parents can become their child’s greatest advocate. Facilitators are parents of children with special needs trained on VELA’s curriculum. Courses are offered in both English and Spanish, with childcare provided. Families also receive Wraparound Services, such as Supportive Case Management with a licensed clinical social worker, Monthly Support Groups and Family Fun Days, unique opportunities for play and community building for all abilities. Program partners include Dell Children’s Medical Center, Seton’s Comprehensive Care Clinic, Child Neurology Consultants of Austin, Autism Society of Central Texas, Austin ISD, Del Valle ISD, and 64 other agencies. By taking a holistic approach to family and community empowerment, VELA’ programming provides families with the knowledge, resources, and support needed for children to realize their full potential.